The Vanishing of Ethan Carter is a first-person story-driven mystery game that focuses entirely on exploration and discovery. It contains no combat or explosions of any kind. If our game leaves any scars, we hope you won’t be able to see them. You play the game as Paul Prospero, an occult-minded detective who receives a disturbing letter from Ethan Carter. Realizing the boy is in grave danger, Paul arrives at Ethan’s home of Red Creek Valley, where things turn out to be even worse than he imagined. Ethan has vanished in the wake of a brutal murder, which Paul quickly discerns might not be the only local murder worth looking into. 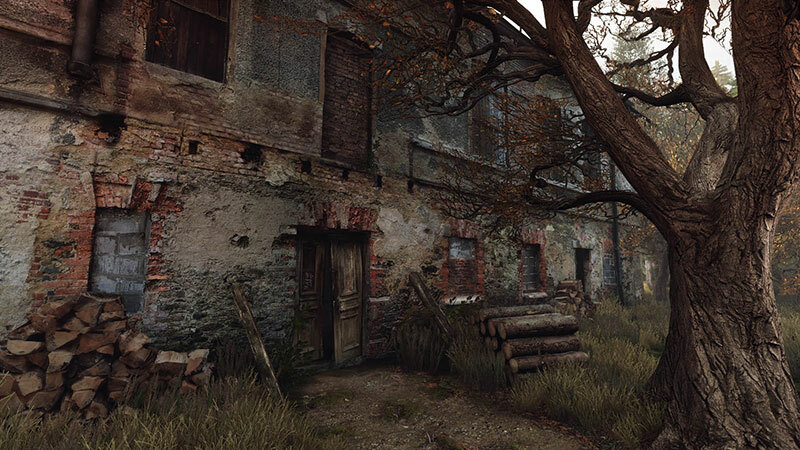 While sections of The Vanishing Of Ethan Carter might hang up players who aren’t patient enough to scrub its environments for clues or destination markers, the experience rewards those who enjoy soaking in atmosphere and exploring every nook and cranny. The Vanishing of Ethan Carter won’t challenge your brain like it will challenge your daring, but it offers up plenty of thrills and tells a crafty story that fans of dark fantasy and pulp horror won’t want to miss. 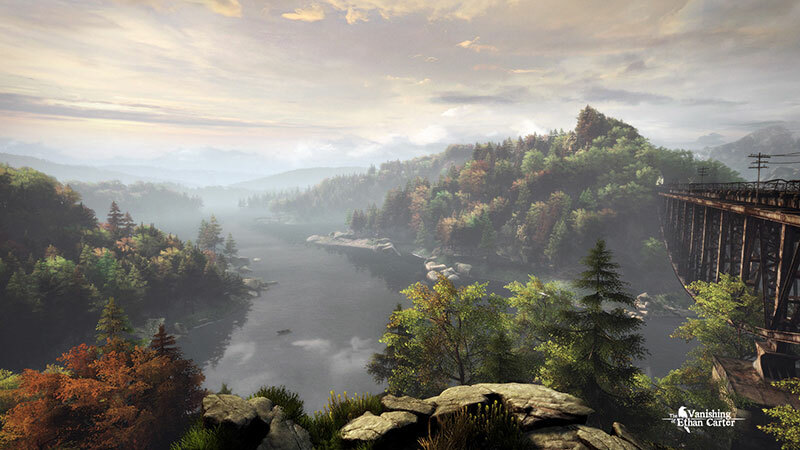 In the end, ‘The Vanishing of Ethan Carter’ is a great game to pick up. I don’t do horror, at all. Until this game, my two previous horror experiences were ‘Dead Space’ and ‘Resident Evil 3’. But I’m genuinely glad I got to play this one! Sure, this review took me an extra couple of days because I had to summon the courage to play it, but ‘Ethan Carter’ was such an experience, that I’m glad I didn’t miss out on it. The Vanishing of Ethan Carter is a stirring tale that walks a fine line between the human and the supernatural. As the layers begin to peel back, what you'll find is a story told with a level of cleverness and elegance rarely seen in games. It confirms the feeling you had from the first breathtaking view; when you enter into Red Creek Valley, you're in for something special. The Vanishing of Ethan Carter is a singular experience, at times strange, astonishing and even bewildering, but always captivating. The mystery will keep you going, but what the game does best is surprise. The Vanishing of Ethan Carter has a great story to tell, even if it's not the one you were expecting. Well, if you haven't played The Vanishing of Ethan Carter, you're missing out on one of the best games of the year. Developer The Astronauts has crafted a masterful mystery in an unbelievably beautiful and atmospheric setting, and raised the bar for what this kind of an experience can be. And, for an extremely reasonable price of admission, you, too, can find yourself never wanting to leave its well-crafted world. It mixes the simmering unseen threat of Lovecraft and shades of Silent Hill’s decaying, subliminal rot with an inventive detective mechanic as you crouch over bloodstained patches of grass thinking about what may have been. There are moments here that are hard to forget, even through the technical and design tangles that drag it down in places. While the puzzles aren't very complex, they provide just enough engagement to make me feel like more than a glorified cameraman, which is by far the biggest pitfall for a narrative-driven experience. The twist at the end is fairly limp, but until that point, an engaging mystery is dribbled into the player's head, one bubbling with Cthulhu-inspired creepiness. It's just a shame that the game's strongest points also make me wish I was playing a different game entirely. It is evidence of a kind of narrative that games can do better than anything else, as well as proof that games can work with a story that doesn't need to be overblown or exaggerated — main character's paranormal powers aside. If you have the three or four hours to devote to it and care about the future of games as a storytelling medium, Ethan Carter is must-play. Despite a few issues that prevent the game from being a wholly immersive open-world exploratory experience, The Vanishing of Ethan Carter packs an impressive punch. The four to five hour long game’s world is aesthetically perfect, the stories are equal parts fascinating and bizarre and it’s a hell of a ride from beginning to end. Visually, it's spectacular. 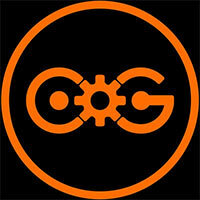 It's tense and the mysteries are enjoyable to solve even when they're not that hard. The voice acting is decent, and while I don't think the story paid off in spectacular fashion, I found it intriguing, mostly satisfying, and most importantly, wonderfully restrained. The narrative unravels a little towards the end, and the written dialogue and allegories are heavy-handed, even if it makes sense in-universe (they are conceived by a child, after all). By the final moments you'll have figured most of it out, but an unexpectedly bleak finale means Carter doesn't pull its punches. It's probably a better value proposition on PC, but if PS4 is your only way to play then this is well worth £15. It’s an intriguing set of mechanics, although specific examples sometimes fall short as certain timelines fall together like dominoes. ...Perhaps where The Vanishing of Ethan Carter succeeds most is in establishing a sense of place. This is the kind of game that you’ll want to get lost in. ...Even something as simple as walking out of the forest into a sunlit glade has impact, and as you follow the twists and turns of its multi-threaded story, you’ll be caught up in its unsettling intrigue. I’ll just say this much: The side-puzzles are necessary to understanding the conclusion, both in terms of narrative content and your natural desire to see the end credits. I don’t want to ruin it much more, but I didn’t realize what truths they held until it was all put together before me. And the end result is actually an emotionally resonating narrative, believe it or not. Despite that one area being notable low-point, the rest of The Vanishing of Ethan Carter is remarkable. The combination of its gorgeous visuals and powerful mysteries make it one of those games that stuck with me and begged to be replayed. The Vanishing of Ethan Carter is an amazing achievement. Its story is powerful, its freedom is liberating, and its world is one of the most beautiful I’ve ever wandered around. Here’s to more games not holding your hand. While some will find the pace far too slow for their liking or the crime-scene puzzles too simplistic, The Vanishing of Ethan Carter holds up well. Having the story told almost out of sequence makes it even more chilling as you see people slowly turn on each other. The melancholy tale is matched with some wonderful visions to make a game that really sticks in the mind. There's difficult, and then there's maddening, and sometimes Ethan Carter tips too far towards the former. 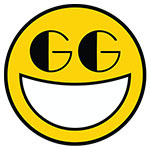 That said, after getting used to the game's rhythm I enjoyed every minute. Very few developers give players the opportunity to use their own initiative, and although Carter isn't perfect, watching it all come together as it does – from your own work – makes all the frustration worth it in the end. 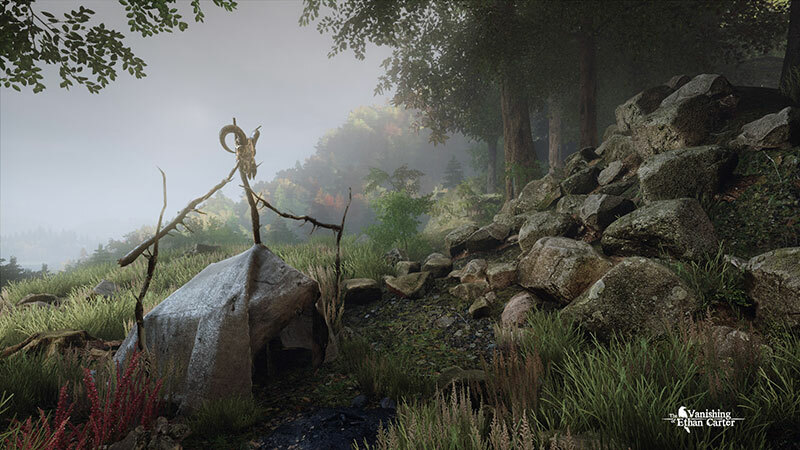 Dari luar, The Vanishing of Ethan Carter merupakan game dengan kualitas visual yang tidak kira-kira bagusnya. Game ini juga memiliki musik serta suara narator yang semakin membuat pemainnya tenggelam dalam suasana yang mistis dan atmosfer berkualitas. Tapi di balik semua itu, The Vanishing of Ethan Carter betul-betul menyajikan sebuah kisah yang disampaikan dengan sangat unik dan menarik. Still, The Vanishing of Ethan Carter is light enough in its puzzles to be both fun and low-stress, while darkly haunting and beautifully presented enough to be worth exploring. Getting lost in Red Creek Valley lets players uncover some great moments, and discovering the stories of Ethan Carter and Paul Prospero is a ultimately a strange and sometimes fascinating experience. ...The Vanishing of Ethan Carter is a low-key journey with some interesting ideas. Nevertheless I really enjoyed the 3-4 hours I spent investigating The Vanishing of Ethan Carter and recommend you check it out, although admittedly your own enjoyment will be tied to whether you find and solve all the puzzles first time around. The story is great and well told, the atmosphere is superb, the environment is intensely believable, and the “puzzles” are neat. There are a lot of surprises in store, so don’t just write it off as a “walking simulator”. The core elements of the game are all very good: story, visuals and gameplay are top notch, but they don’t combine particularly well. The lofty ideas of player independence are held back by the need to tell a convincing story and the narrative can conversely be held back by the degree of player agency that does exist. The Vanishing of Ethan Carter is an enjoyable short game by all accounts, the sum just isn't quite as good as the parts. For one thing, The Vanishing of Ethan Carter leaves you with several amazing memories; moments that you will want to talk to your friends about for hours and will take great pains not to spoil for other people. ...This gentle tale about a boy who is trying to escape from the world - and perhaps make sense of it - by retreating into his imagination will make you think about your own life in a way most games never do. The one thing that holds back The Vanishing of Ethan Carter from perfection is something as mundane as a couple of ill-advised gameplay mechanics, the odd mediocre voice actor, and a sub-par checkpoint system. Tragic pitfalls for a game such as this. When a game manages to immerse you so completely as is the case here, then it is all the more apparent when that immersion is broken. 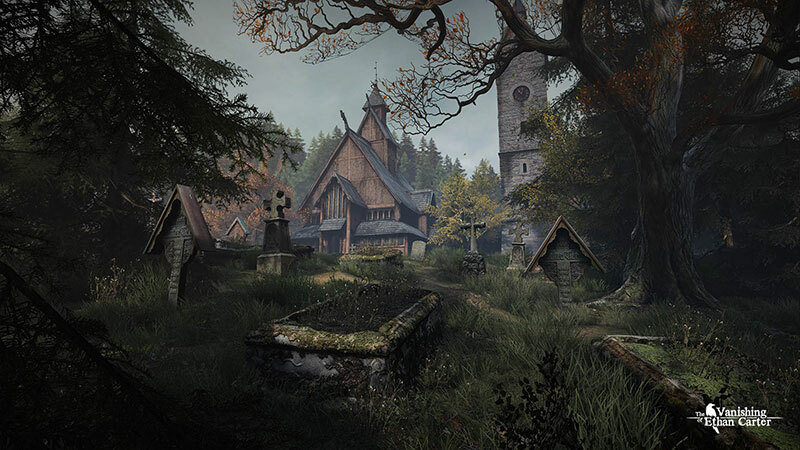 In a way The Vanishing of Ethan Carter is a victim of its own excellence. The Vanishing of Ethan Carter is a compelling interactive novella that draws players in with its beautifully atmospheric setting. The slow burn narrative doesn’t quite land the final emotional punch it’s aiming for, but it more than satisfies on every other level. De la misma manera que True Detective pone delante de nosotros sus cartas y deja que seamos nosotros quienes decidimos qué importancia tenía cada una de ellas, The Vanishing of Ethan Carter no da ninguna pista sobre qué tienes que hacer, cómo puedes hacerlo y cuál es el curso de acción que debemos de seguir. Visualmente cautivador y poderoso en lo narrativo, The Vanishing of Ethan Carter se ha convertido en una de esas agradables sorpresas que siempre gustamos de recibir. A nivel jugable no es un título especialmente llamativo. Hay poco que hacer y en ocasiones puede tonarse incluso pesado; pero la fuerza de sus imágenes y lo atractivo de su historia hacen de esta una aventura gráfica muy recomendable. 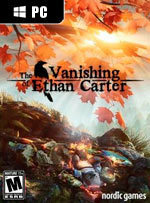 Aunque su historia es peor que la manera en la que se cuenta, y los puzles un tanto escasos y poco originales, The Vanishing of Ethan Carter es una aventura muy estimulante, que nos lleva a un atractivo mundo abierto que te atrapa gracias a su genial ambientación. The Vanishing of Ethan Carter no es un juego convencional, y tampoco busca serlo. ...No es perfecto, ni muy largo, pero decir que no cumple las expectativas es mentir: lo hace y cada una de sus horas proporciona algo verdaderamente interesante y que merece ser descubierto por primera vez por cada uno de los jugadores que se atrevan a acercarse a él. ¿Es un juego para todos? No. Pero si eres 'de los suyos', te lo va a recompensar. The Vanishing of Ethan Carter ist ein stimmungsvolles Abenteuer im Stile einer Schauergeschichte, die nicht das blanke Entsetzen oder den panischen Horror, sondern das Erkunden in den Mittepunkt stellt. ...Unterm Strich ein gutes Adventure, das etwas mutiger mit dem Trügerischen und Schrecklichen hätte spielen können. So werden Poe und Lovecraft zwar zitiert, aber die unheimliche Sogwirkung der Klassiker nur angedeutet. Trotzdem: Hat Spaß gemacht, bitte mehr davon! The Vanishing of Ethan Carter ist eine minutiös komponierte Geschichte, die den Spieler emotional gefangen nimmt, ihn in eine fantastisch inszenierte virtuelle Welt entführt und auf Entdeckungsreise schickt. Dabei knobeln wir vor allem in unserem Kopf über mögliche Bedeutungen, Zusammenhänge und Hintergründe - denn die eigentlichen Spielmechaniken sind arg begrenzt. Weder gibt es wirklich viel zu entdecken, noch können wir abseits der spärlichen Rätsel wirklich mit der Spielwelt interagieren. Dans la famille fraîchement constituée par les first person explorers, The Vanishing of Ethan Carter fait figure de dandy : splendide et magnétique tant sur le plan visuel que sonore, un peu joueur et même doué d'un peu de conversation. ...Mais son ambiance à la Twin Peaks, son dénouement bien trouvé et les incursions régulières du fantastique font qu'il faudrait être fou pour ne pas tirer les rideaux avant de sauter dans le wagonnet, un 5.1 bien couvrant plaqué sur les oreilles. Le jeu de The Astronaut parvient à imposer son style, peu verbeux, exploitant des mécaniques d’enquête et des puzzles qui font mouche malgré une relative facilité, et couple le tout à un rendu graphique qui scotche en quelques secondes un joueur qui aura dès lors du mal à quitter Red Creek Valley avant d'y être contraint au terme d'une aventure malheureusement un peu courte. Si son ambiance le rapproche de Dear Esther ou de la série Twin Peaks, The Vanishing of Ethan Carter propose en plus un véritable gameplay, qui apporte un petit souffle d'air frais sur le jeu d'aventures. La vue subjective et la grande liberté laissée au joueur épaulent des énigmes relativement simples, mais toujours plaisantes et gratifiantes. Surpreendente é que todo este luxuoso grafismo é conseguido com uma exigência em termos de hardware não muito elevada. ...The Vanishing of Ethan Carter é um título recomendado, que vos irá surpreender. Se querem alterar um pouco a vossa rotina, deixar por momentos de lado apostas que nos conduzem a tiroteios sem fim, não hesitem em adquirir e experienciar momentos de prazer visual. ...The Vanishing of Ethan Carter si rivela un’avventura dal progresso lento e poco fluido ma carica di fascino, mistero ed esplorazione. Non dura molto e la difficoltà degli enigmi non è mai elevata a parte qualche intoppo con almeno un puzzle davvero arduo, ma nel complesso è impossibile rimanere indifferenti di fronte alle ambientazioni, alla cura grafica, all’originale impostazione avventurosa e al passato doloroso di Ethan Carter. Superato il fastidio non si può però fare a meno di bearsi di immagini splendide e comunque di godersi qualche ora in compagnia di un mistero forse non spettacolare ma più che gradevole, anche se certo non per tutti. L'impressione è che questa produzione verrà ricordata in futuro più per gli screenshot mozzafiato che potete trovare in giro per la rete, che per vere qualità narrative o ludiche, campi nei quali il gioco porta a casa il risultato senza grossi guizzi di qualità. Dari luar, The Vanishing of Ethan Carter merupakan game dengan kualitas visual yang tidak kira-kira bagusnya. Game ini juga memiliki musik serta suara narator yang semakin membuat pemainnya tenggelam dalam suasana yang mistis dan atmosfer berkualitas. Tapi di balik semua itu, The Vanishing of Ethan Carter betul-betul menyajikan sebuah kisah yang disampaikan dengan sangat unik dan menarik. Serta unsur surealisme yang dijamin akan membua pemainnya selalu bertanya-tanya tentang detail cerita di game ini, bahkan setelah mereka menamatkannya 100%. 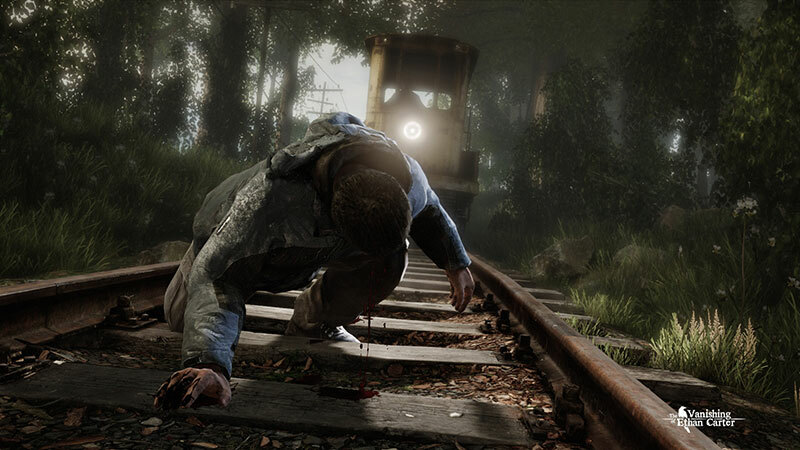 Uiteindelijk is The Vanishing of Ethan Carter niet voor iedereen weggelegd. Het gebrek aan werkelijke spelersinput bekoort niet iedereen en de daadwerkelijke gameplayelementen zijn repetitief. ...Je wil de onderhuidse spanning die je bij het dwalen door het schitterende Red Creek Valley voelt meteen met iedereen delen. Misschien moet je maar eens een kaartje sturen?